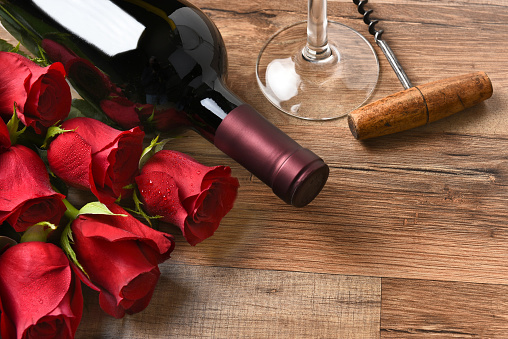 While purchasing a bottle of wine to share is truly a lovely gesture, we believe you should take it one step further, adding a dash of thoughtfulness and creativity, by personally crafting a batch of wine for your special someone. Even better, why not craft together as fun and intimate date night, creating lasting memories and wine to enjoy for days to come! Ever wonder what your perfect wine match is? We’ll we have just the thing to help you discover what wine goes with your love sign! ARIES Mar 21-Apr 19 – Passion and fiery heat, means you enjoy bold flavors and have no problems taking risks. We suggest our En Primeur Italy Viognier! With its dramatic and intense floral bouquet this white acidic wine is sure to do the trick. Taurus Apr 20-May 20 – Our En Primeur Spain Grenache Syrah is a perfect match for your down to earth and patient nature. With dried dark fruit, earth notes and a hint of tobacco will sure to surround your pallet with pleasure, perfect for your epicurean side. Gemini May 21 –June 20 – For the Gemini, the sign of twins, enjoy crafting an En Primeur Germany Riesling Gewurztraminer will meet the best of both worlds. Cancer Jun 21 –Jul22 – A dreamer, a caregiver a supporter will appreciate a well-crafted batch of our En Primeur Pinot Noir Rosé. Leo Jul 23 Aug22 – Creative and playful you hate to be bored in relationships. Your nature demands a wine that will stand out! The En Primeur Australia Cabernet Shiraz is an exciting fruit forward match for this sign. With firm tannins and notes of cassis, toast and vanilla, the round juicy mouthfeel is sure to please. Virgo Aug 23- Sep 22 – Virgos moody mentality requires adequate tokens of affection. Therefore the Virgo is best matched with our En Primeur Amarone Classico. Only a top quality wine will do in pleasing this demanding yet generous sign. This full-bodied classic has just the right amount of elevation to impress. Libra Sep 23 –Oct 22 – Balance and harmony are your life blood and finding balance is a true art. 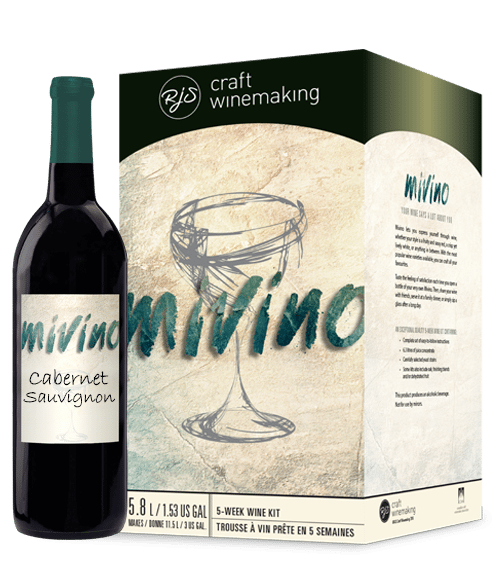 Our Mivino wine kit helps you discover the worlds most popular grape varietals in full or half batches and the pride of creating wine blends that are uniquely yours. Scorpio Oct 23-Nov 21 – Intense, emotional and powerful. Find connection by enjoying the full body flavors of our En Primeur Italy Super Tuscan. Sagittarius Nov 22- Dec 21 – Lover of diversity and adventure. Find enthusiasm and expansive expression in exploring our En Primeur Winemaker‘s Trio Red. Capricorn Dec 22 –Jan19 – Committed and pragmatic, a doer, and a crafter. Crafting wine provides expression for the Capricorn who loves to provide comfort. Express yourself with the En Primeur Chile Merlot, with soft tannins and aromatic bouquets of fresh red cherries, toasted oak and herbs. Aquarius Jan 20 – Feb 18 – Freedom and individuality are where you reside. Looking for something new and interesting, for this love match, our Mivino White selection gives you creative reign to blend varietals. Pisces Feb 19 – Mar 20 – A sensitive and compassionate lover. Express your deeply spiritual nature with our delicate En Primeur Italy Pinot Grigio. Let its gorgeous citrus, floral and pear notes provide you with romance and harmony.